On Sunday, Rodney Park Village celebrated its 20th birthday, holding an afternoon tea acknowledging the people who have contributed to the development and ongoing lifestyle of the village and it's occupants. 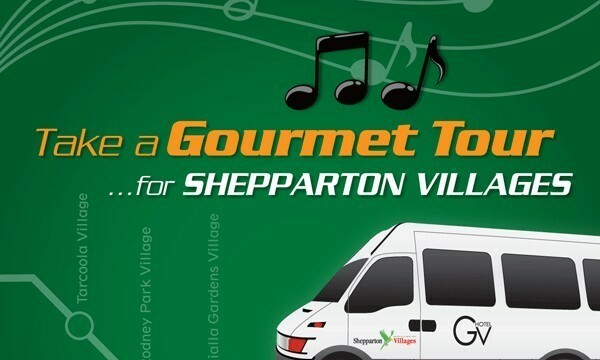 It shouldn't be too long before Shepparton Villages can purchase their long awaited two new buses. By Christine Anderson, as printed in the SN Weekly on Thursday, June 10, 2010. Over 70 volunteers attended a luncheon to celebrate Volunteers Week on Thursday, 13th May 2010 in the activity centre, Tarcoola Village. Mark your calendar/diary for a great night out at the refurbished GV Hotel (Cabaret Room).